The High Court ordered an interim stay on a notice issued by the Brihanmumbai Municipal Corporation (BMC) dated April 28, 2016, that directed demolition of portions of an 18-storey building, in which comedian Kapil Sharma owns a flat, in Goregaon. On Tuesday, the Court directed the Registrar General of the high court to issue a circular to all magistrates in the State to conduct an independent inquiry as soon as they get to know of a custodial death. While hearing a criminal writ petition today, the High Court came down heavily on the Maharashtra government for delaying the constitution of a State Police Complaint Authority committee, which was supposed to become functional by October 15. The High Court (at Aurangabad) quashed criminal proceedings against accused husband in Ashok Sable v. State of Maharashtra, convicted for having burnt his wife. The Court acquitted Mahendra Prave, sentenced to death by the trial court for killing his two minor daughters by throwing them in a well. The court held that insufficient evidence and botched investigations have failed to prove his guilt beyond reasonable doubt and he was, thus, exonerated of the offence. The High Court came down heavily upon the State of Maharashtra for non-payment of pension and arrears to retired judicial officials in Retired Judicial Officers Association, Through Secretary, General Shri. M.N. Patalevs The State of Maharashtra, Through Principal Secretary, Law and Judiciary Dept and Ors. 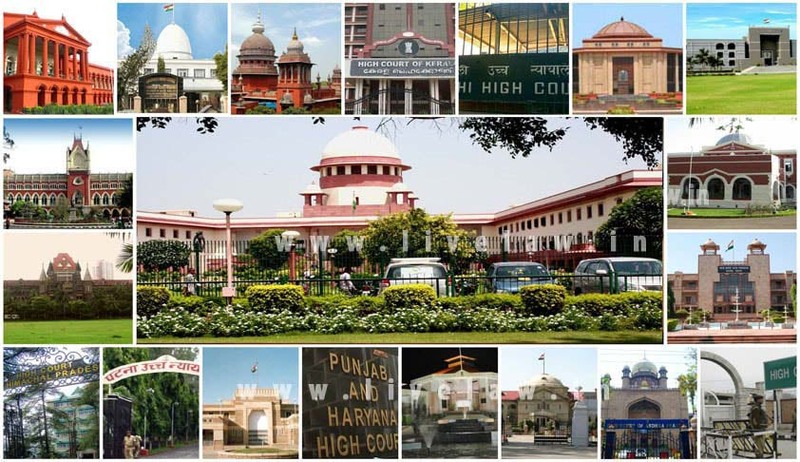 The Delhi High Court holding that demand for privacy by spouse isn’t cruelty and not a valid ground for divorce dismissed a divorce petition filed by the husband (appellant) in Mini Appa Kanda Swami @ Mani v. M Indra under section 13(1)(ia) [cruelty and desertion] of the Hindu Marriage Act, 1955 (HMA). The High Court ruled that temporary disconnection of water supply does not constitute ‘mischief’. The court stated that the act does not confirm to the essential provisions defining the offence of ‘mischief’ under Section 425 IPC. In Union of India vs. Braham Pal Singh, the Court held that a civil court would have no jurisdiction to try and decide a challenge to the orders passed by the disciplinary/statutory authorities under Sections 8 and 9 of the CISF Act. The High Court in Bindu Chaudhary v. Dipak Suga, dismissed a plea made by the wife for an enhanced maintenance as against the one awarded to her by the family court in the impugned judgment. On Tuesday, the High Court modified its May 31st judgment that directed ‘one bar, one vote’ system for bar association elections in Delhi. Rejecting the bail plea of Sunil Dahiya, managing director of real estate firm Vigneshwara Group of Companies, the High Court held that grant of bail in cases of cheating and criminal breach of trust affecting a large number of people would have an adverse impact on the trust that people repose in the criminal justice system. In Manpreet Singh Bhatia v. Sumita Bhatia, the court held that when the father was paying maintenance pendent lite under section 2 of the Hindu Marriage Act, 1955 (HMA), for his wife and daughter, he was also entitled to visit her. The judgment was delivered by division bench comprising Justice Pradeep Nandrajog and Justice Pratibha Rani. The High Court on Wednesday dismissed a petition filed by Delhi Chief Minister Arvind Kejriwal to stay a criminal complaint until the proceedings in a defamation case filed by Union Finance Minister Arun Jaitley pending disposal of the civil defamation suit between them. The Gujarat High Court dismissed the writ application of a former branch manager of a Gramin Bank in ManishkumarArjanbhai Patel v. Saurashtra Gramin Bank & two ors., who was removed from his service on the account of charges of misconduct and negligence in discharging his duties, stating that a delay, by itself, would not vitiate departmental inquiry as sometimes charges may be so serious that the issue of delay pales into insignificance. The High Court in Jitendrabhai Bhikhabhai Bhambaniya & 2 ors. v. State of Gujarat & 1 another held that the relationship between a woman and her in-laws does not come to an end just because her husband has expired. The Karnataka High Court on Thursday stayed the execution of death sentence of BA Umesh Reddy pending disposal of his writ petition challenging the rejection of his mercy petitions by the President. The Madras High Court (Madurai Bench) granted relief to the principal of a college, who was wrongly removed from his post subsequent to an order of communication sent by a university in Mohan Raj v. The Deputy Secretary to Government Higher Education (E2) Department & Ors.